The City of Ottawa is providing notice to the public of its plans to approve a pedestrian crossover (PXO) at Island Park Drive and Clearview Avenue. Click the image for a larger version. For more information, you can contact Neeti Paudel at 613-580-2424 ext. 22284. 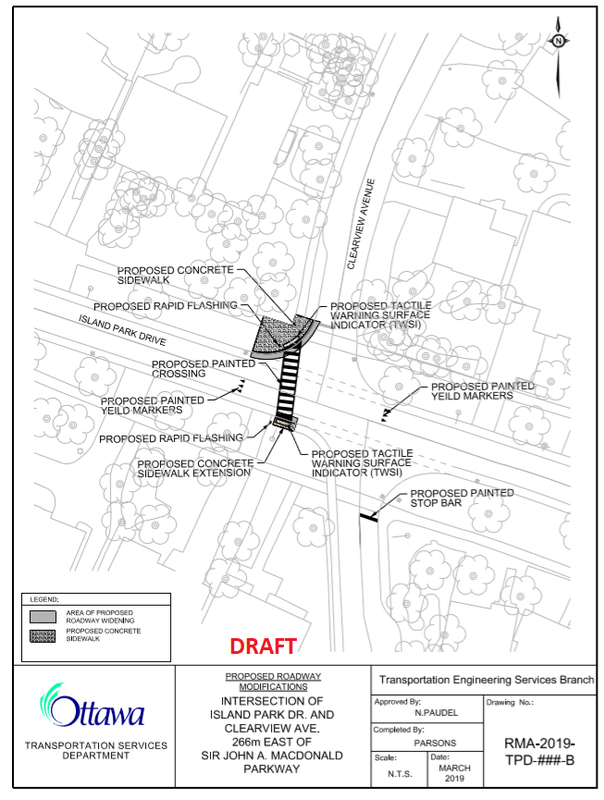 Any objections to these plans must be raised in writing by April 2, 2019 - objections can be sent to the City Clerk, 110 Laurier Ave West, K1P 1J1.